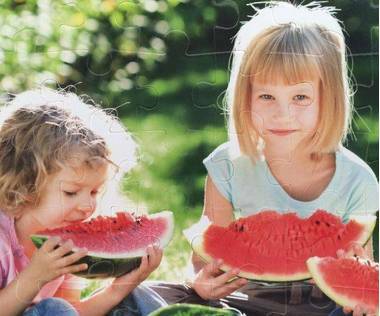 54 piece jigsaw puzzle is made out of plastic with your selected photo! 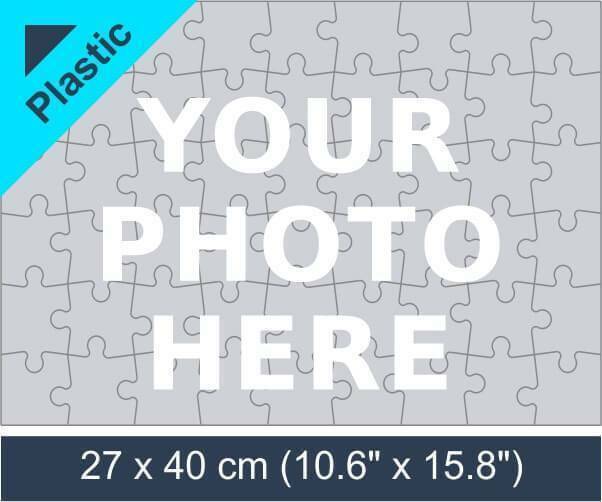 You can customise this 54 piece plastic jigsaw puzzle with your photo, design or artwork. Our plastic jigsaw puzzles are made out of sturdy and hard material, because of this material the jigsaw puzzle is very durable. 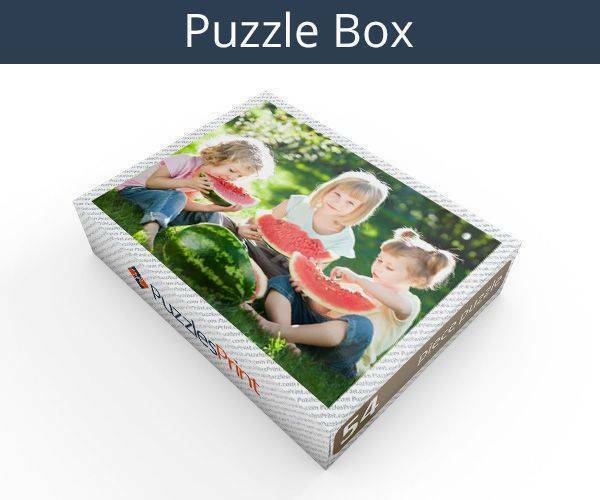 54 piece plastic jigsaw comes with a custom made box that features your image on the lid! 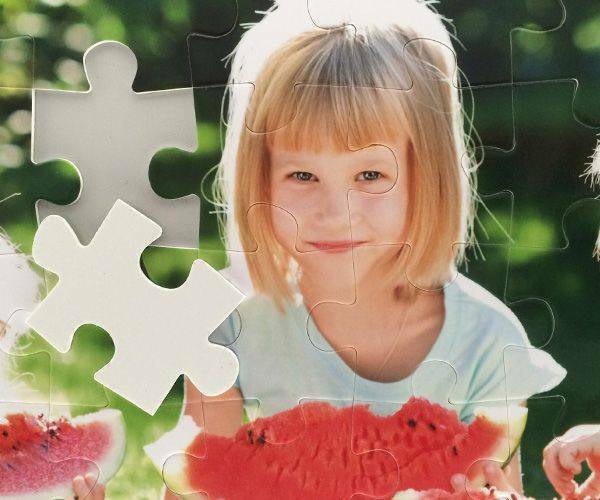 While the types of jigsaw available have been expanding over the years, there can be nothing more exciting than selecting a picture of your own and turning it into a 54 piece plastic jigsaw. With 54 pieces it will be a nice size for a child or even a bit of fun for an adult. As you get to decide the picture that is used, you can find the cutest one you can find or even a slightly embarrassing one if it is for a friend. There is no specific event that 54 piece plastic jigsaws can be bought for. Whatever the occasion, they will be a welcomed gift. It is clear that a lot of thought will go into selecting the picture to be used and also the size of the jigsaw. That is where the hard work ends however as putting the finishing touches to the project is the responsibility of the company. 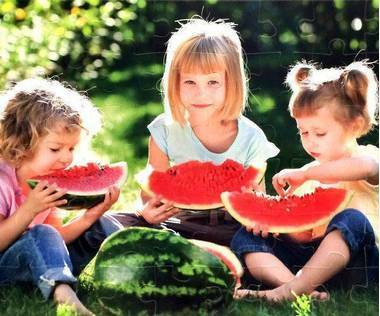 All that you need to do is select the picture you want and then click on the link that will allow you to upload it. There are lines shown on the page that allows you to put it in the right place – you don’t want to cut off someone’s head or have a much-loved pet cropped off when the 54 piece plastic jigsaw is being made up. After that, you just need to pay and then sit back and wait for delivery. You will have seen that the minimum resolution that can be used is 1600 x 2400 and each piece once it has been cut out measures 1.73”x 1.77” with the overall puzzle being 10.6” x 15.8”. It will arrive well packaged in a plastic bag that has been placed into a wooden box. The box has the same picture on the front that is used to make the jigsaw. The pieces are made out of plastic so will be long lasting and still look bright after they have been used may times. 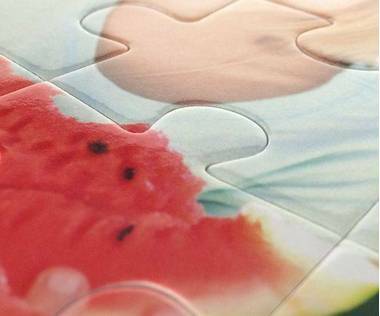 They are easy for a child to hold and will fit together tightly so there will not be any gaps in the picture once the jigsaw have been completed. Better than I even imagined Night another one right away.